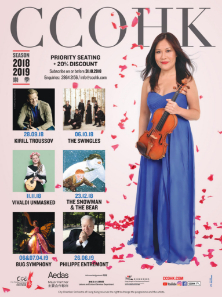 City Chamber Orchestra of Hong Kong kicks off its nineteenth subscription season on 28 September 2018 at the Hong Kong City Hall Concert Hall at 8pm in collaboration with the brilliant Russian violinist Kirill Troussov. Marking his Hong Kong debut, Kirill Troussov performs Mendelssohn’s violin concerto on the Stradivarius Brodsky violin that world premiered the Tchaikovsky’s violin concerto in 1881. Following soon after on 06 October 2018 at 8pm CCOHK is joined by the five-time Grammy award-winning a cappella group The Swingles in a rare collaboration with the orchestra. The programme includes vocal and orchestral fusion works, orchestral pieces and a cappella standards in styles ranging from Baroque to Bebop. This exciting event promises splendid new sounds and discoveries. On 11 November at the Hong Kong City Hall Concert Hall, 5pm, CCOHK presents a golden era in Venetian history in a celebration of the life and times of the famous Italian composer Antonio Vivaldi. Vivaldi Unmasked, an original show scripted and conceived by Leanne Nicholls and showcasing actor Jonathan Douglas, includes a stellar cast of artists and musicians including Russian mandolin player Ekaterina Mochalova, soprano Colette Lam, the Katterwall Singers and Commedia dell’arte artists Zani & Man. Audiences will also delight in CCOHK’s Christmas favourite The Snowman & The Bear taking place close to Christmas on 23 December 2018 at Sha Tin Town Hall Auditorium at 4:30pm & 7:30pm. The Snowman animated film has enchanted children for 40 years. CCOHK’s 2018 edition will feature the film displayed on the big screen with lively storytelling by Australian actor Michael Sharmon and TVB artist Corinna Cheng who is best known for her role in the popular TVB comedy-drama Inbound Troubles. Winner of the Public Choice Award at the YAMawards in Portugal in 2017, CCOHK’s original musical Bug Symphony reruns at the Hong Kong City Hall Concert Hall on 06 and 07 April 2019 2:30 & 7:30pm. Starring British comedy duo Scotty & Lulu and a stunning cast of local musicians, singers, actors and dancers in dazzling bug costumes, Bug Symphony will have families dancing in the aisles! To conclude the season on 26 June 2019 at the Hong Kong City Hall Concert Hall, 8 pm, the legendary pianist Philippe Entremont makes a long-awaited return to Hong Kong performing an all-Beethoven programme as part of Le French May Arts Festival 2019. The programme conducted and played by the French master, in the month of his 85th birthday, includes Beethoven’s sublime Piano Concerto No.4, a ballet overture and the heroic Symphony No.3, Eroica. CCOHK’s 2018/2019 subscriptions are now on sale. Subscribe before 30 Nov 2018 and enjoy 20% off of all bookings! 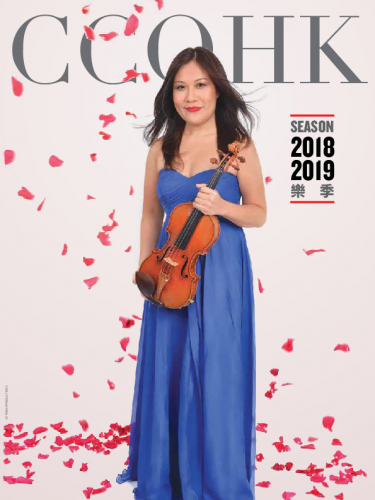 Founded by oboist Leanne Nicholls in 1999, City Chamber Orchestra of Hong Kong (CCOHK) is one of Asia’s leading chamber orchestras and one of Hong Kong’s most dynamic arts entities. The orchestra has performed extensively with many world-class artists including Sir Neville Marriner, Sir James Galway, Dame Evelyn Glennie, Sarah Chang, Julian Lloyd Webber, Branford Marsalis and The King’s Singers. 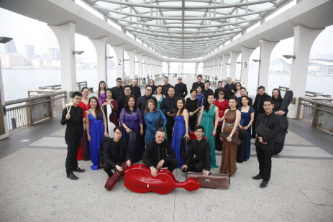 In addition to collaborations with Hong Kong Ballet, Le French May Arts Festival, The World Harp Congress, the Hong Kong International Piano Competition and RTHK Radio 4, CCOHK has been invited to perform on tour in Taipei, Chengdu, Beijing, Shanghai and Italy. CCOHK’s programmes for young audiences include The Snowman & The Bear, Magnificent Mozart, The Star Bach and the musical Bug Symphony which was awarded the Public Choice Award at the YAMawards in Portugual 2017. CCOHK’s CD recordings include an internationally acclaimed release with Danish recorder virtuoso Michala Petri.